GH5 has on sensor stabilization. 2 SD slots for the GH5. No more limit about the duration of recording. 29 minutes in Europe. The audio XLR microphone hotshoe mounted I/O interface will be compatible with the DMC-GH4. 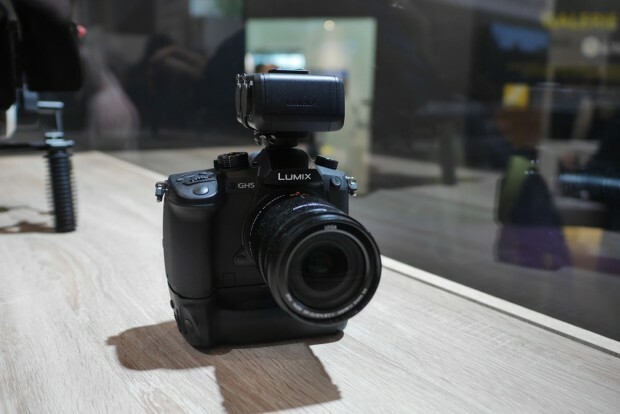 The main sizes are identical of the GH4. Advantage : You can use ANY same accessory like Cage, Etc. from your previous GH3 or GH4.